Here, from the American Academy of Dermatology (www.aad.org), is information on the issue provided by Carrie Kovarik, MD, FAAD, associate professor, dermatology, dermatopathology and infectious diseases, University of Pennsylvania, Philadelphia. Because dermatology is such a visual specialty, Kovarik says, dermatologists were among the first specialists to utilize remote consultations, also known as telemedicine. Dermatologists have been evaluating disease images and discussing conditions over the phone for decades, she says, and the use of teledermatology has increased as technology has developed to accommodate it. Today, she says, patients can utilize computers and mobile devices to access dermatologic care when it might not otherwise be available, whether it’s because of insufficient insurance coverage, problems getting to the doctor’s office, or a lack of available dermatologists in rural areas or inner cities. Although some dermatology services can’t be performed adequately via remote consultation, Kovarik says, questions about an easily photographable problem like a rash or a suspicious spot are appropriate for teledermatology. Remote consultations also may be utilized for triage, allowing a doctor to provide an initial evaluation of a problem and determine how soon the patient needs to come into the office, she says. 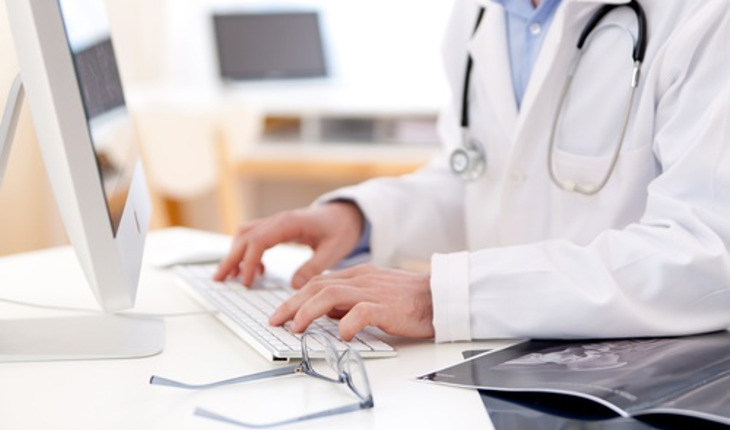 The growth of remote consultation services has included the development of direct-to-consumer websites and apps that patients can access themselves via their computers, tablets and smartphones. While these services may be convenient, Kovarik advises caution in utilizing them. Not all teledermatology services offer consultations with a licensed, board-certified dermatologist. Kovarik says, and many don’t let patients re-contact their initial provider for follow-up questions. Additionally, some services don’t allow patients to submit photos, she says, which makes an accurate diagnosis difficult. About 20 percent of patients who receive remote consultations require an in-person follow-up visit, but not all services have a system in place to arrange such visits. Plus, she says, receiving a consultation from a provider who has no access to your medical records or history can lead to duplicated or fragmented care. Know your provider. You should receive a consultation only from a board-certified dermatologist who is licensed in your state. Ask for the provider’s credentials; if a remote consultation service won’t provide those credentials, don’t use that service. Be choosy. Use only teledermatology services that allow you to select the dermatologist of your choice for your consultation. Make sure to share. A quality teledermatology service should give you the opportunity to share your medical history and obtain a record of your consultation to share with your primary care provider or dermatologist. Have a back-up plan. Before engaging in a remote consultation, make sure the service has a plan in place to arrange for an in-person visit with a dermatologist in your area if your problem can’t be resolved remotely. Make sure this visit would take place in a physician’s office, rather than the emergency room. When in doubt, go to the doctor. Don’t rely exclusively on remote consultations for dermatologic care. If you have a serious condition or one that can’t be evaluated remotely, make an appointment to visit a doctor in person. Headquartered in Schaumburg, Ill., the American Academy of Dermatology, founded in 1938, is the largest, most influential, and most representative of all dermatologic associations, with a global membership of 18,000 physicians worldwide. For more information, visit www.aad.org.